Make Charter Oak Mechanical your source for professional, reliable boiler repair, maintenance, and installation services. Our technicians are thoroughly trained professionals that have skills, knowledge, and the latest in today's heating industry technology. 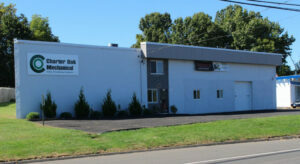 They use it to diagnosis and repair all types of boilers for homeowners throughout Connecticut. Charter Oak Mechanical is precise and efficient when it comes to installing new gas and oil boilers, and they will help you choose the right heating system for your home and budget limitations. Don't worry we would never try to sell you something you don't need. Just take into consideration the fact that most old boilers only operate at as little as half of it's capacity. New boilers installed will offer a much higher efficiency rating, which will pay for the cost of the new one in just 2 years from all the money saved on fuel. Also from now through March 2016, select Bosch and Buderus equipment and you may be eligible for up to $1500 in qualified product purchase rebates. To learn more or register online for this offer, go to:http://boschhvac-promos.com. Locally owned and operated, Charter Oak Mechanical is Greater Hartford’s provider of choice for all heating, cooling and ventilation services. We service residential, commercial, and industrial properties. We have been serving all of CT for over 25 years. Our reputation speaks for itself. We are Better Business Bureau accredited and proudly carry an A+ BBB rating. At Charter Oak Mechanical we offer all customers a “no risk guarantee.” If you are unhappy with your home’s comfort systems heating or cooling and we are unable to fix it, we will remove the equipment we installed and refund 100% of your investment at any time during the first year. We also conveniently provide our customers with sensible service plans.